IT’S a good thing that few will actually read the judgement. And at 900 pages, longer than the New Testament, it almost seems designed not to be read. Because if you were to read it, you’d discover that it doesn’t much care for you. It doesn’t make for pretty reading. Basically, the judicial majority has told us this: they will ultimately decide what parliament can or cannot do. Curiously, none of the judges thought to examine how a constitutional amendment is passed. Why? Because, for some reason, parliament can’t be trusted to do the right thing. But when it does do the wrong thing — like sanction military courts for civilians — the court won’t interfere. Which leaves you wondering — what worse could parliament really do when it comes to rights? What, really, are the judges trying to protect? Here’s what the majority has rhetorically asked itself: what if parliament did something terrible? Like do away with democracy. Or, strangely, switch from a parliamentary form of government to presidential. Or — always slipped in at the end of the fanciful hyperbole — what if parliament tried to do away with the INDEPENDENCE OF THE JUDICIARY? Who would save us — the judges, really — from that? Put that way, it can seem scary. Plus, have you had a look at our politicians recently? Nawaz the dunce, Asif the chor, Imran the whacko — who knows what the hell they could do to us in the name of us. Monsters, the lot of them. But let’s get back to the real world. Why, really, would parliament do away with democracy itself? Or get rid of the judiciary? Or turn us into an elected dictatorship? And how? Curiously, none of the judges thought to examine how a constitutional amendment is passed. Or maybe it isn’t so curious. To get an amendment done, you need a separate two-thirds majority in each of the two houses of parliament. Not fifty-one per cent of the vote, but sixty-six per cent. Separately. A double super-majority. That’s safeguard number one. None in the judicial majority thought to ask why the Constitution has that safeguard. Then, there’s the Senate. Which is elected by the provincial assemblies. And which has equal representation from all the provinces. Technically, to get to two-thirds in the Senate, you’d need to hold the full quota of Senate seats from a little more than two and a half of the provinces. Our rogue parliament that may one day dump democracy and destroy all of us would need to be the most representative parliament in the history of this country ever. Neither, for some curious reason, did the majority delve into recent constitutional history. The terrible monsters that our politicians are, look what terrible, monstrous things they have done to us. It’s right there on the record. Four amendments in five years! They’re out to destroy the fabric of our Constitution and our lives. But let’s look at those four amendments. Of the four, two aren’t such a great idea — the 19th and the 21st. They explicitly reduce the power of the politicians inside the constitutional scheme of things and undermine democratic tenets. The other two are rather nice: they explicitly improve the structure of the democratic and electoral system in the country, the 18th and the 20th. Here’s the funny thing about the 19th and the 21st: they weren’t parliament’s idea. One was forced on parliament by the Supreme Court, the other by the army. So, recent constitutional record tells us the opposite of what the judicial majority wants to tell us: parliament can and has done bad things, but it has done bad things under pressure from other institutions. When left to their own devices, our dirty, dastardly politicians actually end up doing rather decent things for the Constitution. There’s more: the clauses that saved the 21st Amendment from being struck down by the judicial majority were pushed through — by the politicians. It was the politicians who insisted that if they were going to have to do the 21st Amendment because the army wanted them to, they would make military courts very restrictive in terms of who those courts can try. It was also the politicians who insisted on the sunset clause — that military courts would automatically stand disbanded after two years — in the 21st. Dirty, dastardly politicians doing terrible, monstrous things to our democracy to benefit themselves at the expense of the people and other institutions? Just where are those folk? But none of this was of interest to the judicial majority. Who cares about actual constitutional history when scare stories work better. Go further back in history. If there’s ever been a constitutional amendment pushed through by a civilian to try and grab more power for himself, it was the 15th. That whole business about Nawaz trying to install himself as Amirul Momineen. Nasty business that. What’s this, though: the heavy-mandate National Assembly passed it, but then it got stuck in the Senate. Where, if you believe rumours at the time, it wasn’t going to pass. And by which time there was chatter that Nawaz’s own party was deeply uneasy about what the hell was going on and was thinking of ways to stop him from taking them all down. Dirty, dastardly politicians doing terrible, monstrous things to the rest of us in the name of us? Where? Only if you ignore the desperately obvious: there have been dirty, dastardly folk who have done terrible, monstrous things to democracy in the name of the people — but those folk have never happened to be politicians. It is these politicians' weakness that caused the government to be dectated by other institution (including the foreign). They are doing the right thing (according to their book). They would hit at whatever opening they find. They are required to have their job done otherwise they themself will suffer along with their fellow citizen. Politicians let and led to get these institution loose in the very begining. It is their job to keep them in check and under their control. If they are sucessful in their field economy,education: they can lead, otherwise the people will support "hope" than their own choice. Ironically I too believe more in these institution then my own choosen government (why? I don't have cofidence in my decesion). "When the argument is long facts are scare"(fallacy of hubris). Cyril does it again, masterpiece! From the contents it seems how difficult it is in Pakistan to create consensus over sensitive issues. Clear. Crisp. To the Point. Brilliant. Judges protecting judiciary! But does this not happen all over the world? That is the most eye opening article I've ever read by you. Good to know that there are still people who check the facts themselves rather than memorizing some bullet points displayed on the electronic media. Great work. cheers, cheers, three cheers Cyril!!! its amazing, it indeed is! Cyril, a work of genius! I never miss your columns. It will be my loss. I only dread the day when one "all-knowing" actor decides to play all the parts himself. Now Pakistan is under AFSPA(armed forces special power act) which is applicable to j&k. The constitutional amendment proves that terrorists can be dealt with by such laws. Nicely written......and showing the other side of the picture was both bold and brave. After reading he whole piece I realized that the players mentioned were the politicians, bureaucrats, judges, military all who play among themselves.....and you said very little of the people who suffer because of these games. What use is a constitution and its amendments if they are there solely for safeguarding the parliamentarians interests........making this an elected dictatorship. NS effort to be Ameer ul Momineen wasn't going to get 2/3 rd majority, & could only be enacted extra constitutionally if at all. Coming to the present, the 2 year limit is the saving grace. If civilians don't make the judicial system efficient during this time, we'll remain an authoritarian state. Will the courts learn any lesson? Superb analysis so dissimilar to the narrative being peddled so forcefully by the increasingly media savvy media cells. The pictures behind the trucks tell the story. 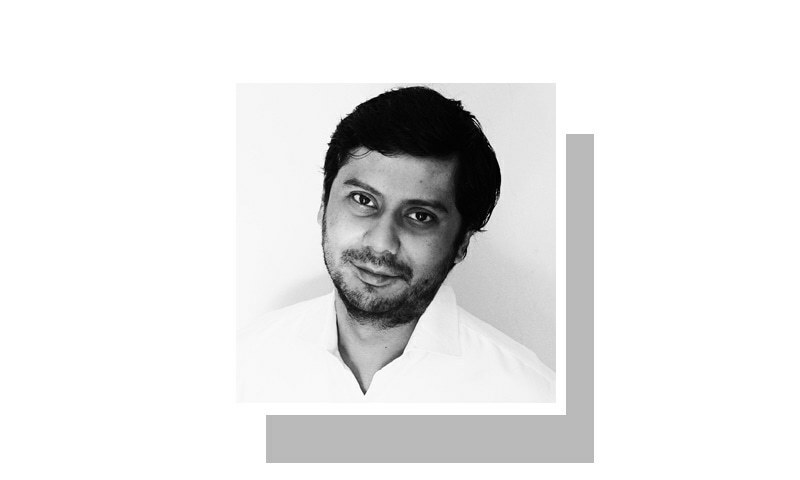 Pakistan's amendments seem temporary and impermanent, defeating the purpose of what an amendment is supposed to represent. That would be permanency and dependability.